Take it from an RI Breathalyzer Refusal Attorney, being pulled over by a police officer can make your palms sweat in any situation and even more so if you’ve had a drink or two. You may be thinking, “Officers can smell fear, but more importantly, can they smell the tinge of alcohol on my breath?” They key in any DUI situation is to remain calm. If an officer begins questioning whether or not you’ve been drinking, their mind is already made up. They WILL try to pin you with a DUI – even if you’ve only had one beer. 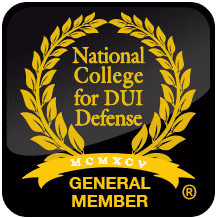 At this point, the only thing that matters is giving yourself the best chance you have to fight the RI DUI in court. During any pullover, the officer has one goal: get a confession. Getting a confession in any form makes a conviction easier. Once an officer pulls you over, no matter the reason, they will be looking for any signs of inebriation which will give them reasonable cause for suspicion. Once an officer has reasonable cause of suspicion, they will then be able to continue their investigation. The next step in the officer’s investigation is to administer tests for inebriation. There are two tests the officer will administer in the field: the Field Sobriety Test (FST) and the Portable Breathalyzer Test (PBT). Rhode Island Officers have the right to administer such tests, but you also have the right to refuse them. If you’ve been pulled over, it’s in your best interest to refuse both of these tests. The FST and PBT are designed for failure, even when sober. Your performance in these tests will be used to convict you in a court of law. Rhode Island follows the rule of implied consent. Meaning once you refuse the FST and PBT, you will unfortunately be giving the officer implied consent of driving under the influence. The officer will more than likely place you under arrest for a DUI and bring you into the station where you will have to take a chemical test. Take the chemical test. The reason being that a good RI DUI lawyer can get the chemical test thrown out in court so long as you didn’t take the FST or PBT. Without the field sobriety tests the officer is left without probable cause and without probable cause, there is no DUI. If you have been charged with Breathalyzer Refusal In Rhode Island call The RI DUI Guy Chad F. Bank today at 401-229-5088. 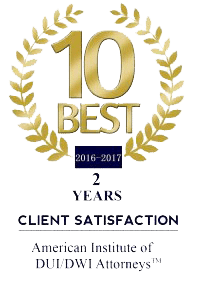 Chad Bank is a Rhode Island DUI Attorney who concentrates his legal practice in the areas of DUI Defense and Criminal Defense.